Bengaluru city has reached a population of 1 crore already. It is finding it difficult to provide drinking water to half its residents. The city has 60 lakh vehicles (a vehicle for every two persons), congesting roads and making it impossible for buses to ply and for pedestrians, street vendors and cyclists to have an equitable amount of road-space. Garbage mismanagement in the city has necessitated the intervention of the Karnataka High Court to ensure that MoEF Rules are followed and mafias controlled. Lakes continue to froth and get encroached, even by the BDA, and Public Interest Litigations are required to seek High Court directions to protect them. Ground water has become polluted and is getting depleted. The slightest rains flood Bengaluru due to encroachment of raja kaluves. Air is polluted due to vehicle emissions giving rise to respiratory diseases. Children have no place to play at all. More than half the green cover has been lost in the past decade alone. Public Interest Litigations have to be constantly filed to ensure that laws and rules regarding the setting up of the MPC and ward committees are followed. It is obvious that the city is in a super-crisis and is on the verge of dying. Real estate developers have thrown planning norms to the winds. The Joint Legislature Committee on Public Lands Encroachment headed by A. T. Ramaswamy has confirmed that over 50,000 acres of public land, including rajakaluves, have been encroached in Bangalore; not by the poor, but by the rich and influential. There is rampant commercialisation of residential areas in violation of zoning regulations. It is assumed that the only solution to traffic congestion is road-widening or building elevated corridors, at a cost of Rs. 22,000 crore, when there is no evidence that these actually de-congest traffic. Bengaluru has reached the stage of a dying city environmentally despite the RMPs of 1995, 2005 and 2015. Unless a white paper is prepared on what went wrong and why Bengaluru has reached this stage, no purpose will be served by preparing more plans which remain on paper. There needs to be an Action Taken Report by BDA on RMP 2015 and an analysis of why it has not been able to implement the earlier CDPs, what went wrong and how the lacunae can be remedied. The Advisory Committee on RMP 2015 chaired by Mr. PSS Thomas had recommended that there should be a committee headed by the Chief Secretary to review the implementation of RMP 2015 but this has not been set up. As such there is no institutional arrangement to monitor implementation of the Master Plan. Constitutionally and legally, BDA is not the body which should be making plans for Bangalore as Article 243ZE of the 74th Constitutional Amendment requires the Metropolitan Planning Committee, with two-thirds elected representatives, to make plans for the Bangalore Metropolitan Region. The Government of Karnataka has not complied with this very fundamental feature of the Nagarapalika Act. Implicit in the Constitutional amendment is the objective that the State government should devolve planning powers for metropolitan areas to the third tier of government and desist from making plans for them as the third tier is a full-fledged local self-government. Instead it has continued to empower para-statal agencies such as the BDA, which are unrepresentative of citizenry, with plan-making powers, clearly in violation of the Constitution of India. Parallel to the MPC, Section 7(1)(a) of the Karnataka Town & Country Planning Act (KTCPA), 1961, states that, in the case of the city of Bangalore, ‘Planning Authority’ means the Bangalore Development Authority. The BDA Act of 1976 reiterates this. So which of these two bodies should plan for Bengaluru and whose plan is the correct one for Bengaluru? As per the MPC Rules, BDA is only the Secretariat of the MPC. Things turn topsy-turvy where the BDA is presenting a Vision Document for Bengaluru prepared by a consultant, which is not a vision prepared by the MPC in a bottom-up process beginning with the area sabhas and ward committees. Not only is planning by BDA unconstitutional, the State government is also making several plans for Bengaluru concentrating on unsustainable, high-end infrastructure, such as the steel fly-over and the elevated corridors, at a cost of Rs. 22,000 crore, which are often outside the Master Plan. There are also funds earmarked for the Nagarottana scheme, supervised by the State Government. When Bengaluru is struggling for breathing spaces, laws have also been passed by the State government reducing the space for open areas, playgrounds and civic amenities, without any pre-legislative discussion of these with the general public or in the BBMP. All these decisions are also not being taken by the MPC. This is also unconstitutional as per the 74th CA which envisages ULBs as bodies of local self-governance. As for the process of preparing the Draft Development Plan by the MPC, Article 243ZE of the 74th CA and Section 503B(3) of the KMC Act say that the MPC in preparing the draft development plan shall have regard to the plans prepared by the municipalities and panchayats in the area. In this context, Article 243W(a)(i) of the 74th CA further says that States may devolve to municipalities powers and responsibilities with respect to the preparation of plans for ‘economic development and social justice’. The MPC shall also consult institutions, NGOs and professional organisations in formulating the plan, which the BDA is not required to do for its Master Plan. Acknowledging that the devolution of planning functions to the Urban Local Bodies is mandated under the 74th CAA, the State government issued a GO, No. UDD 146 CSS 2009, dated 14.12.2009, claiming that such devolution is “under active consideration of the Government” and that Government intends that “the Urban Local Bodies which are elected bodies need to have a greater say in the preparation of Master Plans, which is not being witnessed at present”. But the GO rationalised that Urban Development Authorities (BDA in Bangalore) “for the time being” may continue to be the agencies for the preparation of Master Plans”. But as a sop to urban local bodies, the GO further stated that the Master Plans, “shall be sent to the respective Urban Local Bodies both at draft and final stage of vetting”. Further in an undated and unsigned “Note on the 74th CA” on the website of the Directorate of Municipal Administration, the State government has claimed that it has delegated powers to the City Corporations and other municipal bodies to carry out the functions related to urban planning, including town planning, by amending the KTCP Act and declaring 45 local bodies as Municipal Planning Authorities. But these ULBs are “to prepare city development plan based on the Master Plans prepared for their jurisdiction”. The note however does not explain which Master Plan these are to be based upon: the one prepared by the parastatals, such as BDA, or those planned by the District Planning Committees or in the case of Bengaluru, the MPC? There is a total vacuum in the Act and Rules on how the municipalities and panchayats are to go about making their development plans and engage ward committees and area sabhas in the planning process. Section 10(3) of the MPC Rules says that the MPC shall formulate guidelines for preparation of the draft plan by the municipalities and panchayats. Section 10(e) also says that the MPC shall “resolve conflicts arising out of overlapping functions of planning and development authorities and rural local bodies”. But the MPC, since it was constituted, has never been allowed to meet, or has not met long enough, to prepare such guidelines or resolve the overlapping conflicts! The crux of the problem is that the power to prepare Master Plans by parastatals, designated as Planning Authorities under the KTCPA, was not taken away when the MPC and DPCs were given constitutional status. This was not done though Article 243ZF of the 74th CA clearly stated that any legal provisions, which are inconsistent with the provisions of the 74th CA shall cease to be valid at the end of one year from the commencement of the 74th CA, i.e. 1994, unless amended or repealed earlier. The KTCP Act has not been amended to take away the planning powers of BDA and transfer them to the Metropolitan Planning Committee, with regard to Bengaluru, and to the District Planning Committees in the case of other areas. Hence as per Article 243ZF of the 74th CA, the planning powers of BDA for Bengaluru Metropolitan Area (BMA) are automatically void and unconstitutional and the only planning powers rest with the MPC. But by retaining the two parallel provisions, the state government has created confusion and is trying to sail in two boats simultaneously, with a leg in each, which will surely result in Bengaluru’s development going in two different directions without coherence. One understands the discomfiture of the officials of the parastatals such as BDA as they are required under existing law to prepare the Master Plan as per the KTCPA, but they get hounded by citizens’ groups for preparing it because they insist that the 74th CA requires the MPC to be doing do so. BDA makes a primarily spatial and zoning plan and has not been making comprehensive development plans “for economic development and social justice” as required by the 74th CA. The MPC plan would have to encompass all the 18 functions, including safeguarding the interests of the weaker sections, slum improvement and upgradation, urban poverty alleviation, etc. delegated to urban local bodies in the 12th Schedule attached to the 74th CA, or at least the 15 functions listed in the MPC Rules. How are the two Plans prepared by two different bodies with differing content and different processes for preparing them to be reconciled? Bengaluru is on the verge of dying as its air, water and land are all polluted and disparities between the affluent and the urban poor are growing inordinately. The MPC needs to be empowered to set right the priorities and plan for a sustainable and inclusive Bengaluru. There should be ‘growth with equity’ in the plans, which has been missing in the earlier plans. 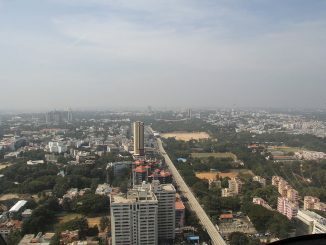 The 74th CA says that every Metropolitan Planning Committee shall, in preparing the draft development plan, have regard to the extent and nature of investments likely to be made in the Metropolitan area by agencies of the Government of India and of the Government of the State and other available resources, whether financial or otherwise. These funds should be devolved to the MPC to formulate plans as per the priorities decided by it to make Bengaluru an inclusive and sustainable city. Before the MPC’s Draft Development Plan (DDP) is prepared, coherence needs to be brought between the Structure Plan of BMRDA for Bangalore and the DDP 2031. We do not know if the Structure Plan of BMRDA for 2031 has been notified. The Structure Plan guidelines should be the framework within which the DDP is prepared. Until now, there has been a lack of consonance between the Structure Plan of BMRDA and the RMP of BDA. The plans of the BWSSB, BESCOM, BMTC, KSDB, BMLTA etc., and BDA “never talked to one another”. The MPC is the body which should bring all these line agencies under one umbrella and consolidate the individual plans into its DDP and also bring consonance between them. All these agencies also need to be involved in the consultation process, which had not happened during the drafting of RMP 2015. Sectoral experts and the above-mentioned federations of interest groups, having expertise and experience in the individual sectors, also need to be made part of the sectoral committees, on the lines of working groups, and their sectoral plans should be incorporated in the overall plan through suitable convergence with other sectoral plans. Relevant departments/parastatals could act as the technical support wings to assist the sectoral committees, such as DULT/BMLTA for transport, BWSSB for water and sewerage; Urban Poverty Alleviation & Slum Redevelopment Authority under RAY for urban poverty alleviation and housing, BESCOM for power; etc. Each technical wing of MPC [such as BWSSB, BESCOM, Urban Poverty Alleviation & Slum-Redevelopment Authority, etc., and the others to be created for each sectoral committee] could have a BBMP wing and be answerable to BBMP. The existing land use maps were not made available in RMP 2015 when one purchased a set of volumes of RCDP, though the claim was that the volume was included. This made it extremely difficult for anyone to appreciate the changes proposed and its implications for the future. This fuelled widespread suspicions that a probable reason for such non-disclosure was that it would expose the gross failure of BDA in failing to regulate the city’s growth per the CDP. It is widely known that land use proposed in 1995 has been followed more in violation, than per plan. Such gross abuse would not have been possible, except with active connivance and complicity of officials of BDA and other government agencies. It reveals the RMP as an exercise in regularising major land use violations that have taken place over the past decade or so, without at all attempting to analyse reasons for failure in implementation. A participatory process / framework that is legally accountable and transparent should be included at all stages in the planning of DDP by the MPC. The KTCP Act was not amenable to a participatory process at all stages of the plan making process. The MPC Rules should be amended to facilitate this kind of participation from the bottom-up, from the area sabhas and the ward committees. A special budget should be allocated for conducting the participation. Citizens’ groups and stakeholders should prepare a “vision document” for Bangalore in a bottom-up process within the framework of several national policies, such as the National Vendors’ Policy and the National Urban Transportation Policy. The DDP of the MPC 2031 must serve as a base for conducting micro-level planning and a framework must be developed to follow-up the DDP with micro-level plans, thereby ensuring its implementation. Mere “consultation” with representatives of influential lobbies such as of builders and architects, or of heads of departments, or even some NGOs, does not constitute a Comprehensive Development Planning process for the Metropolis, as envisaged in the Nagarpalika Act. There needs to be a system for data-base management and data repository within the MPC. The data repository should be independent of all the departments, yet all departments need to be responsible in providing information/data/maps, etc., that will feed into this common data centre. As a start, the geo-spatial data prepared as part of the RMP 2015 exercise, and already in possession of the BDA, can be used as a base, and the same may be built upon and updated. When the DDP of the MPC is submitted for approval to the State Government, any changes made by the State government should be required to provide an explanation that the changes are in the interest of the public. There was no regulatory mechanism within BDA to ensure that its plan is implemented and not violated. A monitoring mechanism under the MPC needs to be constituted. Without a strict regulatory mechanism for implementing the zonal regulations and building bye-laws, etc., prescribed in the Plan, it would remain on paper and Bangalore would continue to develop in a haphazard way leading to periodical schemes such as ‘Akrama-Sakrama’ for ‘regularisation’ of zoning and building bye-law violations, making a mockery of the planning process. The MPC’s DDP needs to spell out what the MPC is going to do in terms of performance targets and outcomes for all the 18 functions listed in the 12th Schedule of the 74th CA, how it is going to do it, the cost for implementing the plans, how the resources will be raised and what is the monitoring and evaluation system. The MPC Rules need to be supplemented with a clause that allows the MPC to conduct periodic review of the Plan, especially when major changes that shape the development of the city take place. A method for evaluating the MPC’s DDP’s progress and implementation, including identification of benchmarks, is essential. It seems that the intent of the State government in not taking away the powers of BDA to prepare the Master Plan seems to be directly related to its desire to retain its stranglehold over Bengaluru as BDA is under its control. The State government appears to have followed the mere letter of the Constitution in 1994 by including the provisions for setting up the MPC in the KMC Act. But it did not constitute it for 20 years until the Court ordered it to do so in 2013. Even after constituting the MPC, it has systematically kept it dysfunctional. It seems that the real intent of the State government is not to devolve power downwards to the third tier of government comprising the MPC, DPC, municipalities and panchayats, which constitute a local self-government as per the spirit of the 74th CAA. We hope the above points will be taken into consideration and the planning powers of BDA under the KTCPA annulled and the MPC empowered suitably to prepare the Draft Development Plan 2031 for Bengaluru. The stretch from Anil Kumble Circle to the MG-Brigade junction has been cordoned off for the Open Streets event. BMTC has arranged for special buses to ferry citizens to the event. A first-hand account of a trip to the People For Animals (PFA) rescue centre shows a Bengalurean how much the organisation does for the injured and abandoned wildlife in the city.